It's a good time to be an Angeleno. Kind of. In the September issue of Geology, USC earth scientists report that the Los Angeles basin is experiencing some seismic downtime. The scientists say that heavy seismic activity alternates between this LA area and the Mojave Desert, and the latter is currently in the middle of a hectic period. Los Angeles, by contrast, is going through a lull characterized by smaller, infrequent quakes. 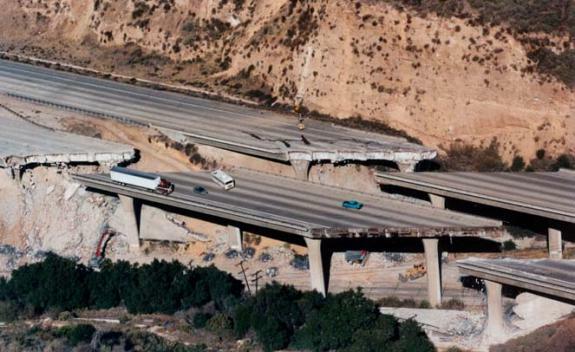 It is pretty impressive how the earthquake can do so much damage in a simple bridge.